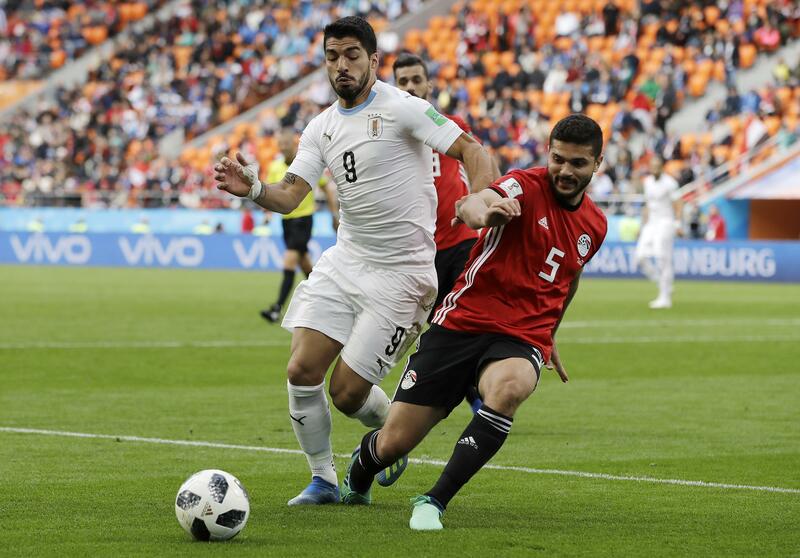 UPDATED: Tue., June 19, 2018, 11:16 a.m.
ROSTOV-ON-DON, Russia – Uruguay coach Oscar Tabarez paid tribute to Luis Suarez as the team prepared for Wednesday’s World Cup match against Saudi Arabia – the 100th international appearance for the Barcelona striker. Uruguay was the only South American team to win its opening match in a tournament where upsets have been commonplace. Tabarez’s squad is hoping to secure qualification Wednesday, but he said the Saudis would be keen to restore pride after their 5-0 thrashing by Russia. “There are not many countries that can say football is part of their identity, but we are one of them. Back home, even the monuments have been painted light blue. The pedestrian crossings have been repainted in blue and white,” he said. Published: June 19, 2018, 9:58 a.m. Updated: June 19, 2018, 11:16 a.m.